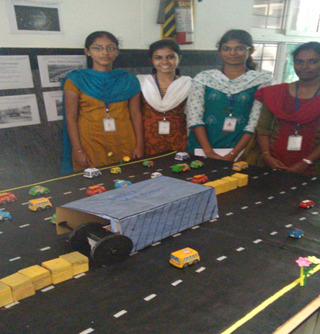 Civil engineering involves scientific principles, theory of mechanics and knowledge of mathematics, application of computers to plan, analysis, design and construction for any type of infrastructure. The department will give a blended approach of theoretical and practical application of the skills which will help the students to achieve a high level of technical expertise. 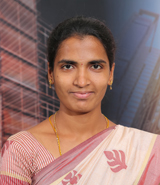 The department is endowed with cutting edge laborites in the areas of Construction Engineering, Survey and Geoinformatics, Material Evaluation, Water & Resources Engineering and Transportation Engineering. The department will encourage the students to involve in research activities providing hands-on training in the respective fields. Rewarding professional employment, primarily to plan, analyze, design, construct, maintain and manage civil & environmental engineering systems. Pursue professional licensure and certifications. Engage in lifelong learning by way of participation in post graduate education and research. Connect in community, public and professional service. Strive to produce excellent Civil Engineers through holistic education, research, entrepreneurial training and technological services with societal focus. 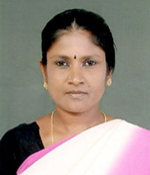 To impart quality education with strong emphasis on professional ethics and social commitment. 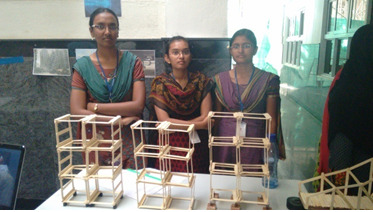 To augment skill and awareness of latest technologies through knowledge exchange programmes. To provide conducive environment for research and innovation resulting in advancement of knowledge and practical applications. 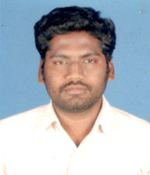 To offer consultancy services in diverse and interdisciplinary areas of Civil Engineering. To incubate technically competent entrepreneurs to provide solutions for societal problems. an ability to implement diverse bye-laws and standards in Civil Engineering projects. PSO1. Survey, plan, design and prepare working drawings for typical Civil Engineering Structures. PSO2. Analyse, estimate and recommend suitable construction resources for various Civil Engineering Projects. 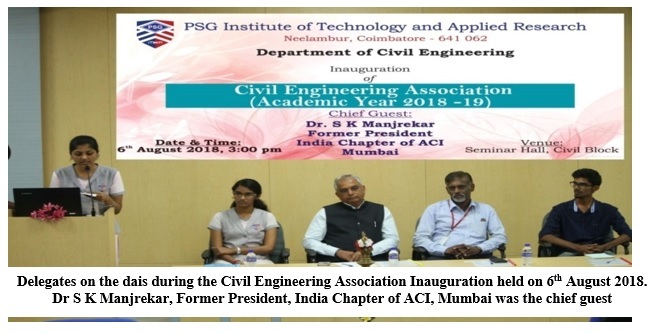 The Inaugural function of the Civil Engineering Association was held on 6th August 2018. Dr. M.I.Abdul Aleem, Professor and Head of Civil Engineering Department welcomed the gathering. Dr.S.K.Manjrekar, Former President, India Chapter of American Concrete Institute inaugurated the Civil Engineering Association for the academic year 2018-19. The inaugural function of the Association of Civil Engineers (ACE) was conducted on July 8, 2017. The chairman of the Association of Consulting Civil Engineers (ACCE), Mr. V Gopalakrishnan was the esteemed chief guest of the function. The office bearers of the Association of Civil Engineers were introduced to the gathering by the Head of the Department, Dr. M I Abdul Aleem. Then the President of ACE, Mr. R Aravind listed the events to be conducted in the following academic year 2017 - 18 that includes several hands-on training, software, guest lectures and other events like Survey Run, Technical Quiz, En Route etc..
Mr. V Gopalakrishnan elucidated the gathering about the global scenario of Civil Engineering field. The Indian Construction Sector is growing at an annual rate of 10.5 per and is ranked 6th in the global list of 10 fastest growing construction market. The first technological evolution in the world is agriculture which is followed by the Industrial Evolution in the early 19th century. Information Technology brought about the third revolution. 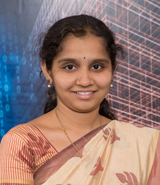 In recent years, Public sector as well as infrastructure activities are being opened to the private sector for investment which will lead to growth in employment in R & D. The NBA (National Board of Accreditation) has introduced a new process that involves alumni and industry representatives to give Outcome Based Education (OBE) to the future generation. Also Professional Bodies like Indian Concrete Institute (ICI), ACCE (I), BAI etc., is offering training to both students and faculty to give them industry exposure and upgrade their practice skills, so that they would OBE in their respective institutions. He also mentioned that a technical paper presentation for final year students is to be conducted in National Seminar and Workshop on January and February of 2018. He further mentioned that the ACCE is sponsoring an amount of Rs. 20,000 to ACE to conduct the above-mentioned events. 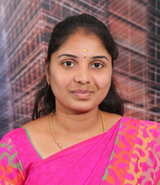 And at last the session was winded up with the vote of thanks, delivered by Ms. K R Rasikha, the Treasurer of ACE. The Valedictory function for the Civil Engineering Association for the academic year 2016-17 was held on 11 April 2017 at 9.00 am. Er. 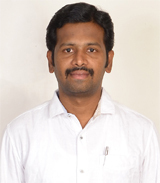 S. Alwar Babuji, Technical Committee Chairman, Coimbatore Civil Engineers Association (COCENA) was the Chief Guest. Ms. L.C. Jesline Althea, Executive Committee Member of the Civil Engineering Association welcomed the gathering. 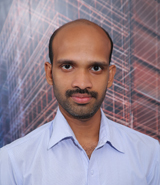 The Annual Report was presented by the President Mr. S.K.Abishek. During the valedictory address, the Chief Guest highlighted the role and importance of any professional association. He has also discussed the potential areas of Civil Engineering and motivated the students to develop the qualities required by the construction industry. Working towards the vision of the college, the Department of Civil Engineering inaugurated the Association of Civil Engineering (ACE) on 9 th July, 2016. Er.S.Sivalingam, Deputy Chief Engineer, Public Works Department, and Coimbatore presided over the function and inaugurated the Association. 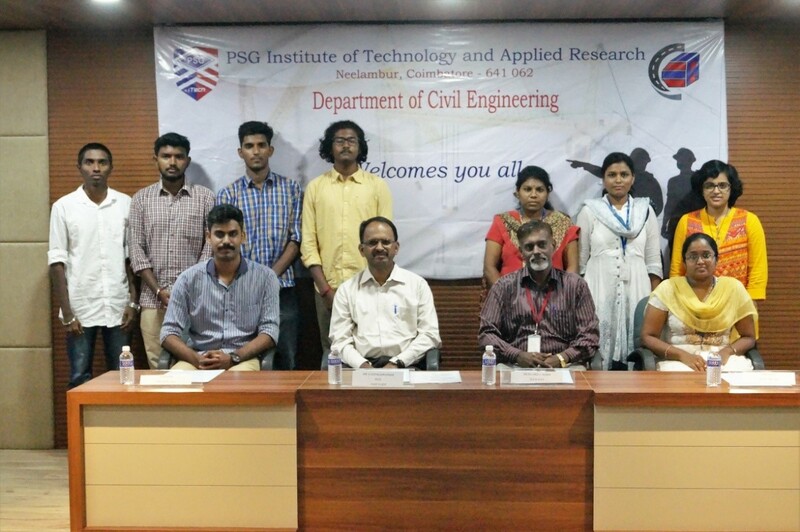 Dr.R.Ramesh, HOD, Department of Civil Engineering; Dr.M.I.AbdulAleem, Professor, faculty members and the students of Civil engineering were present. The function began at 10:30A.M. as scheduled at E4-304 Seminar Hall. The Chief Guest was received with a warm welcome and was seated in the Diaz. The function began with the prayer song. The act of the host, welcoming the Guest is an integral part of the Indian culture. Mr.R.NaveenManickeshwar, Vice-president welcomed the gathering with his blissful welcome address. He had done his part great in welcoming The Head of the Department, the Chief Guest, the Faculty and the student members with joy and happiness. Then Head of the Department Dr.R.Ramesh instigated the crowd with his words of wisdom. Dr.R.Ramesh enlightened the student members by his thoughts and wished for the well functioning the Association of Civil Engineering (ACE). 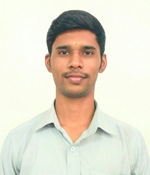 Mr.C.V.KrithikBalaji, third year civil engineering student presented the annual report of the Association activities for the year 2015-2016.He enlisted various events conducted by the association before, like the Quiz, Wordplay and the Guest lectures, and also made sure to mention the various prize winners and the papers published. Professor Dr.M.I.AbdulAleem introduced the new Office Bearers for the academic year 2016-17. 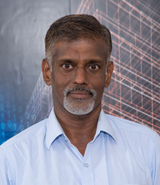 Er.S.Sivalingam then addressed the gathering which reflected his level of expertise and the immense experience in his field of work. He told the crowd about the water usage and also added about the role of an individual to make optimum use of the available resource. 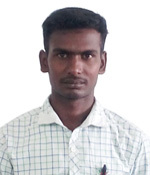 Also, Er.S.Sivalingam voiced his concern for water conservation by making the mass to take a pledge on conserving water resources and limit its exploitation to optimum levels. The Chief Guest along with Dr.R.Ramesh and Dr.M.I.AbdulAleem distributed the prizes and the certificates to the winners of various events. Finally the function concluded with a patriotic tone, as the crowd stood up for the national anthem. The inaugural function of Civil Association was held on 27.01.2015 at 3.00pm at hall of fame. The guest of honor for the association inauguration is Mr AR Sangeet Sharma, Architect, SD Sharma & Associates. Followed by the inaugural address & welcome address, the function started with lighting of the divine lamp and association logo was unveiled. His speech enlightened the students about the importance and benefits of Civil Engineering in every day life. 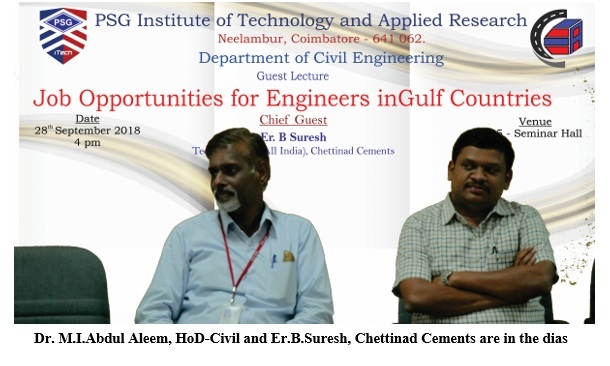 The Civil Engineering Department has organized a guest lecture, "Job Opportunities for Engineers in Gulf Countries" on 28th September 2018. Dr.M.I.Abdul Aleem, Head of Civil Engineering Department welcomed the gathering. 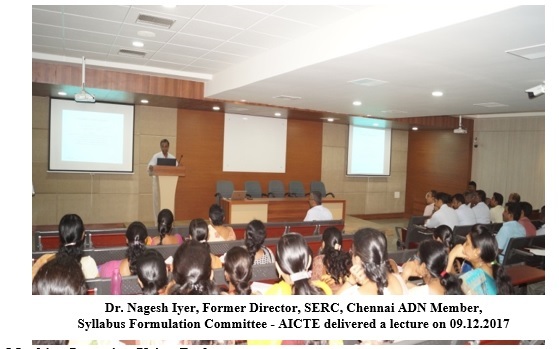 Er.B.Suresh, Technical Head (All India), Chettinad Cements has delivered the lecture. 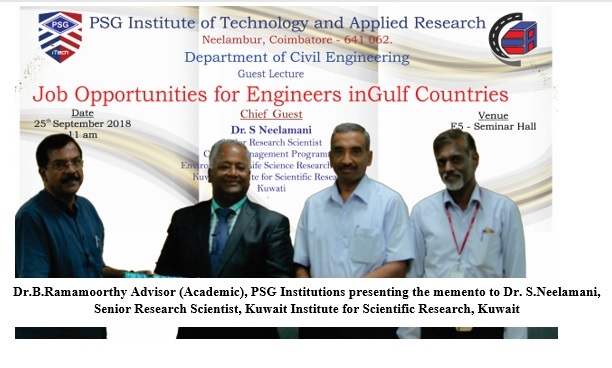 The Civil Engineering Department has organized a guest lecture, Job Opportunities for Engineers in Gulf Countries on 25th September 2018. Dr.M.I.Abdul Aleem, Head of Civil Engineering Department welcomed the gathering. 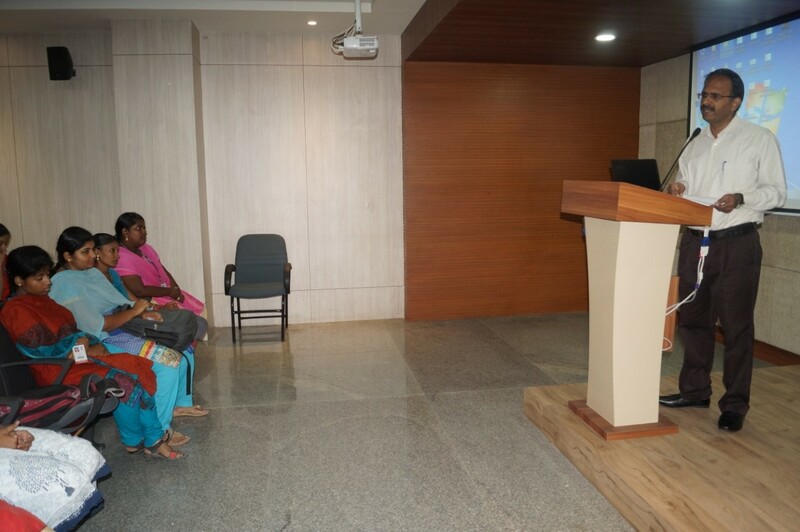 Dr. S Neelamani, Senior Research Scientist, Kuwait Institute for Scientific Research, Kuwait delivered the lecture. 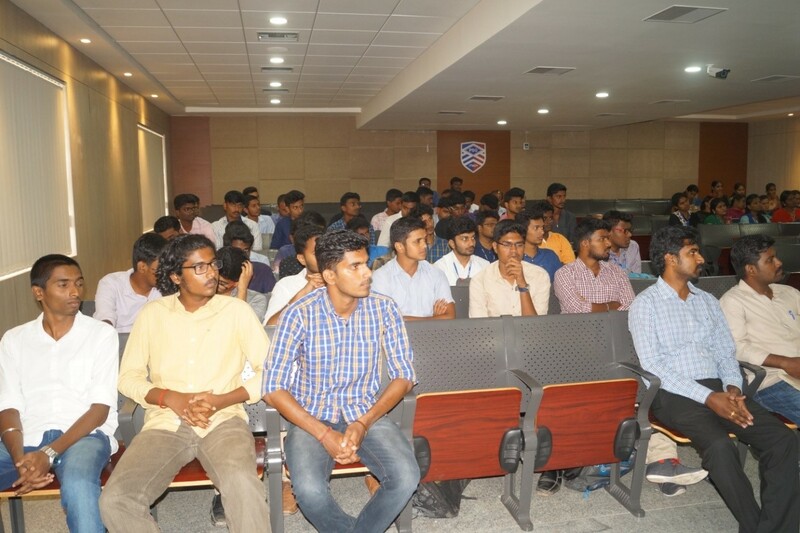 Students from second, third and final year of Civil Engineering department attended the guest lecture. 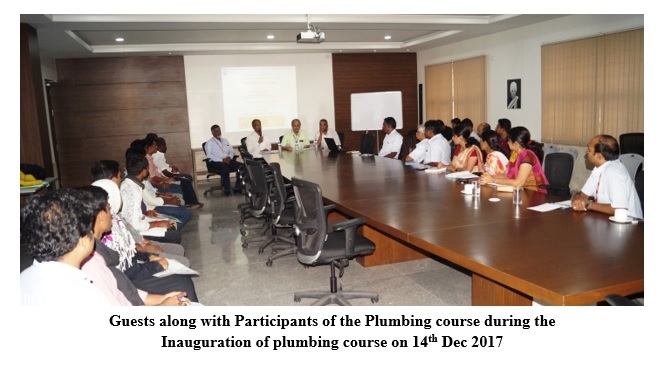 The Skill Development Course on Plumbing (General) under Pradhan Mantri Kaushal Vikas Yojana (PMKVY) scheme was inaugurated on 14th Dec 2017. 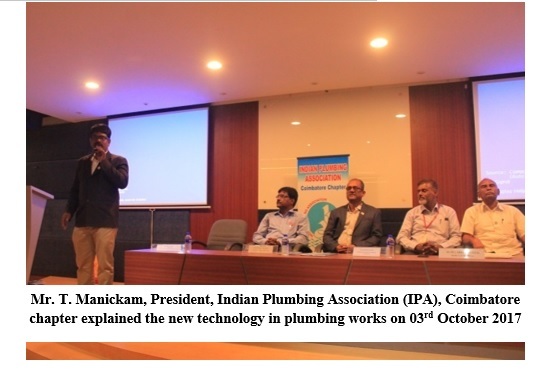 Dr.P.V.Mohanram, Principal, PSG Institute of Technology and Applied Research welcomed the gathering and motivated the participants to utilize the facilities available in the Plumbing Laboratory. The Department of Civil Engineering and in association with Indian Society for Technical Education (ISTE) has conducted a Guest Lecture on "Leveraging for Quality Education" for the Faculty Members of PSG Institute of Technology and Applied Research on 09th Dec 2017. The Department of Civil Engineering has conducted a Seminar on "Effective Plumbing Works" on 03rd October 2017. The aim of the seminar is to make the students to know the importance of plumbing and to create an awareness on recent technologies in plumbing. Mr.Prakash, Plumbing consultant, explained the good plumbing practices and do's and don'ts in plumbing. Furthermore he signified the role and demand for Mechanical, Electrical and Plumbing Engineers. The Technical on Training on "Arrival of Rates" was conducted by Er. 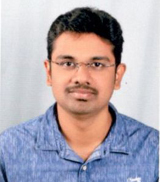 N.NANDAKUMAR, Special Grade Draughting Officer, PWD, WRD, Coimbatore on 31/8/2016 during 3.30 to 4.45pm. 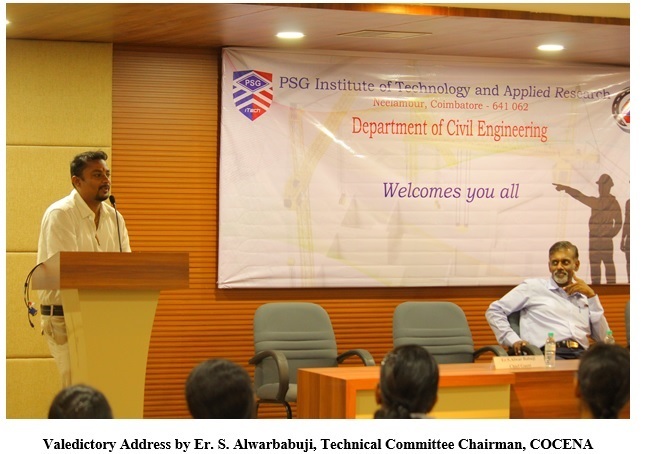 Dr. M.I.Abdul Aleem, Professor in Civil Engineering, PSG iTech welcomed the gathering and introduced Mr. N. Nandakumar to the Students. 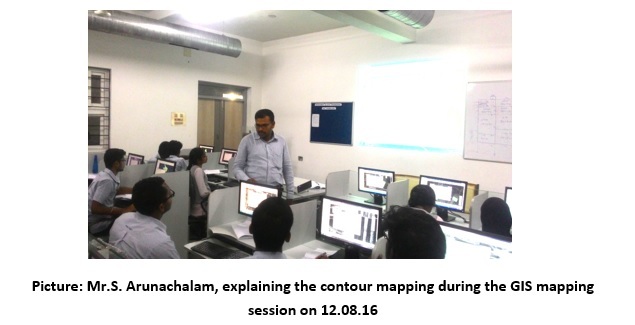 The software training programme on "Open source GIS and mapping" was conducted during 10.08.16 to 20.08.16. About 30 students were registered and undergone training for 20 hours. 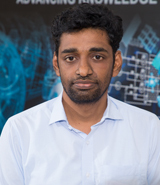 Mr.S.Arunachalam, Asst Professor and GIS Analyst, Higher College of Technology, Oman has given the training to the students. The areas of training include Geotechnical mapping, Environmental mapping, Survey analysis, GPS operation and basic Remote sensing and GIS. The Hands on Training on "Brick Masonry was inaugurated by Er. 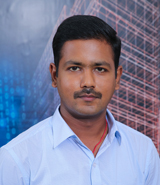 S. Rajendran, Cost Effective Consulting Civil Engineer, Tanjore, on 13/8/2016 at 10.30 am. Dr. M.I.Abdul Aleem, Professor in Civil Engineering, PSG iTech welcomed the gathering. During the inaugural address Er. S. Rajendran has explained the importance of Bricks for any construction and how the brick was utilized by our ancestors in constructing historical important structures. He has narrated some of the cost effective construction methods using bricks, he has effectively handled during his technical venture, which was well received by the students. 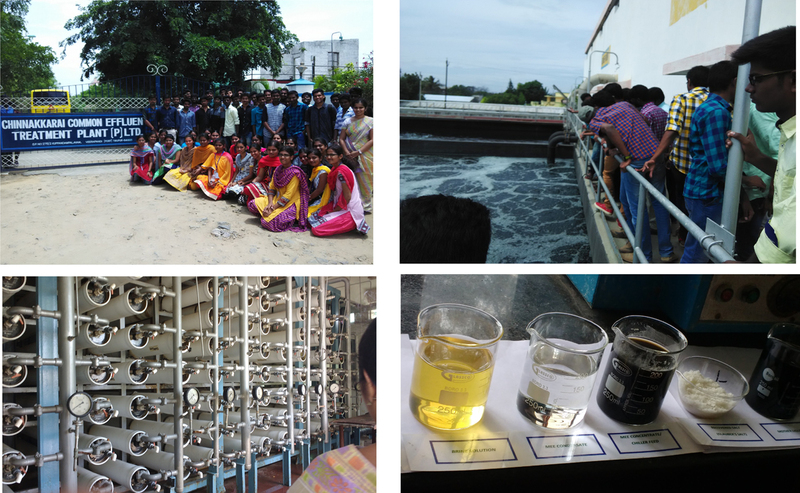 The Civil Engineering Department of PSG Institute of Technology and Applied Research has organized a Practical Training on "Water Quality Testing" on 20/7/2016, Wednesday at 3.15 pm to 4.45 pm for the Second and Third Year B.E.Civil Engineering Students, in the college premises. Dr.M.I.Abdul Aleem, Professor in Civil Engineering welcomed the gathering. 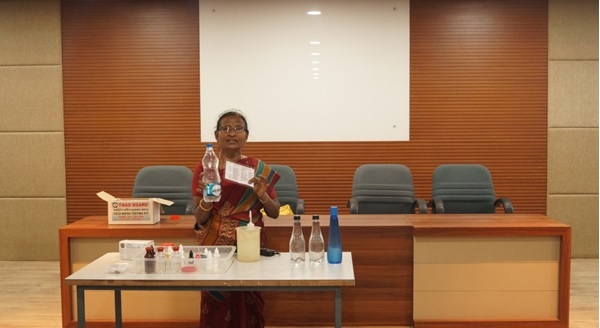 The Practical Training was conducted by Mrs. N. Subhulakshmi, Assistant Water Analyst, TWAD Board, Coimbatore. One day Workshop on "Building Information Modelling (BIM)" on 20.09.2018 in association with Bentley Institute, Pune. The Department of Civil Engineering had organized One day Workshop on "Building Information Modelling (BIM)" on 20.09.2018 in association with Bentley Institute, Pune. The total number of participants registered for this course was 92 that include 74 internal participants and 18 external participants from various institutions. 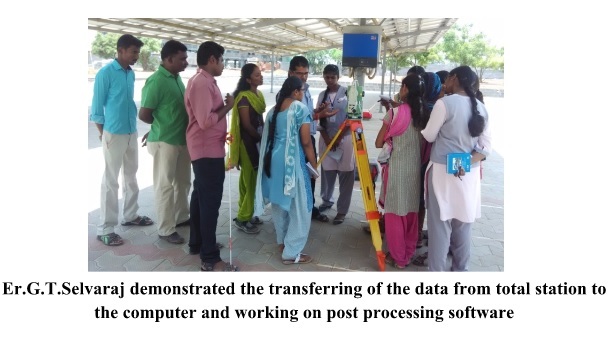 Two days Workshop on, 'E TA' was organized by the Civil Engineering Department on 5th & 6th March 2018 at PSG Institute of Technology and Applied Research. Dr. M I Abdul Aleem, Professor and Head of Civil Engineering Department welcomed the gathering. 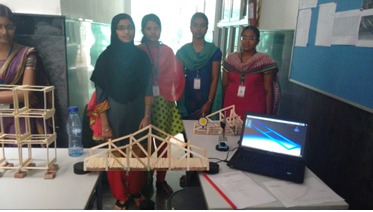 The workshop was conducted by Er.R.Vivek Prasad, Senior Structural Trainer, CSI Engineering Software Pvt. Ltd, Bangalore. 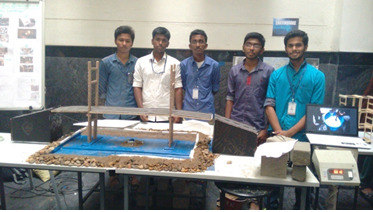 25 students from the Third Year Civil Engineering of PSG iTech attended the workshop. 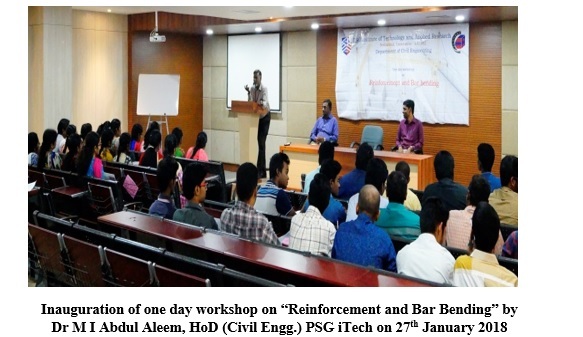 A One day Workshop on "Reinforcement and Bar Bending" was organized by the Civil Engineering Department on the 27th January 2018 at PSG iTech. 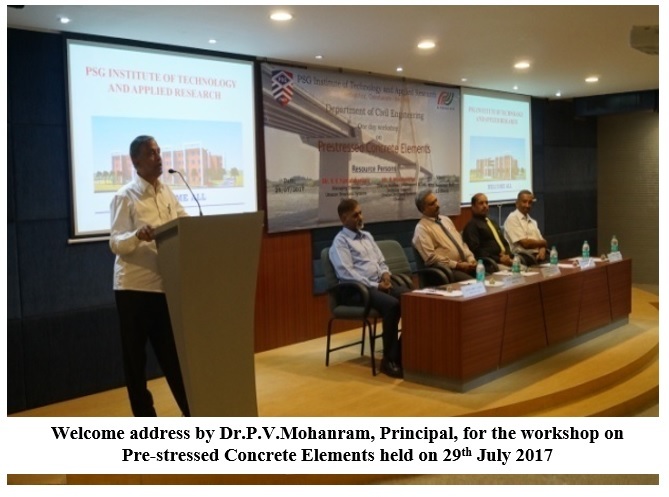 The one day workshop on Pre-stressed Concrete Elements was held on 29th July 2017 with a welcome address by Dr.P.V.Mohanram, Principal. Dr.M.I.Abdul Aleem, Professor & Head (Civil Engineering) introduced the key note speakers. 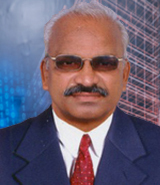 The chief guest of the programme was Mr.K.K.Kamalakannan, Managing Director, Utracon Structural Systems. The Civil Engineering Department has organized one day workshop on "Bar bending and Reinforcement" for the Third Year B.E. Civil Engineering Students on 8/2/2017, Wednesday. The workshop was conducted by Dr. M.I.Abdul Aleem, Professor and head of Civil Engineering Department of PSG Institute of Technology and Applied Research. 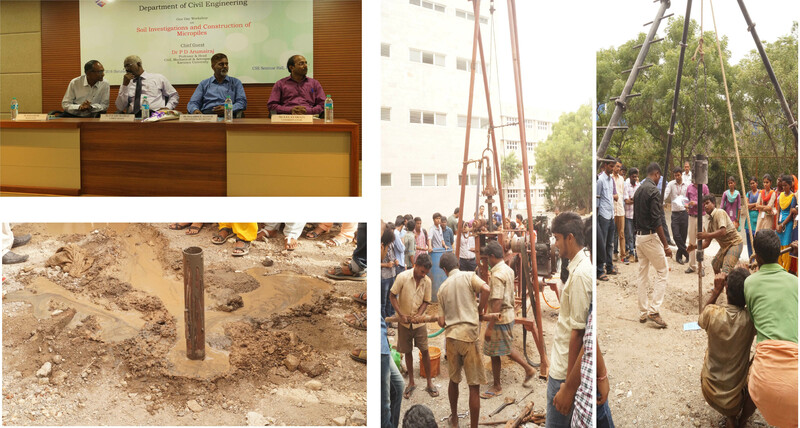 The workshop on "Soil Investigation and Construction of Micro Piles" 23rd July, 2016 was inaugurated by Dr. P.D. 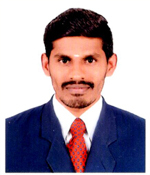 Arumairaj, Professor and Head, Department of Civil & Mechanical Sciences, Karunya University on 23/7/2016 at 9.00 am. 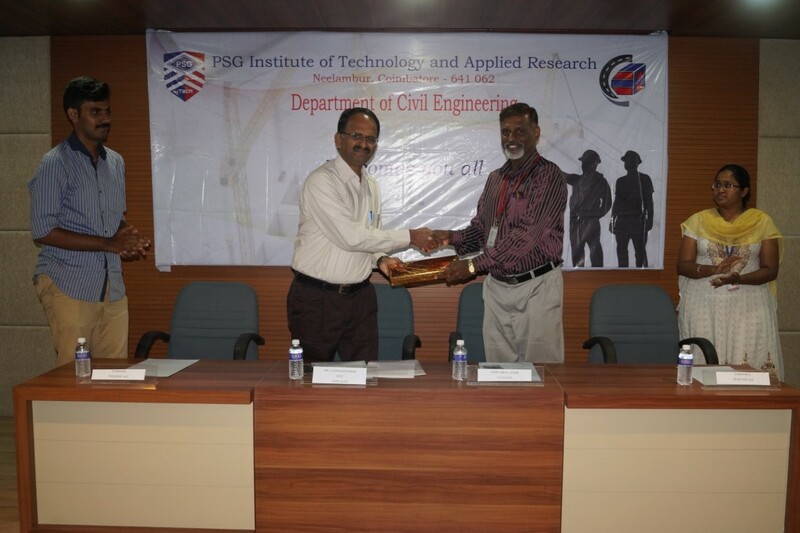 Dr. R. Ramesh, Professor and Head of Civil Engineering Department, PSG iTech welcomed the gathering. During the inaugural address, Dr. P.D. 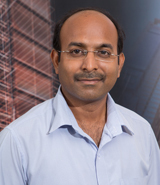 Arumairaj explained the importance of Site Investigation for any construction and the role of Civil Engineers in the Society for executing the same. He has narrated some of the incidents he has effectively handled during his technical venture, which was well received by the students. 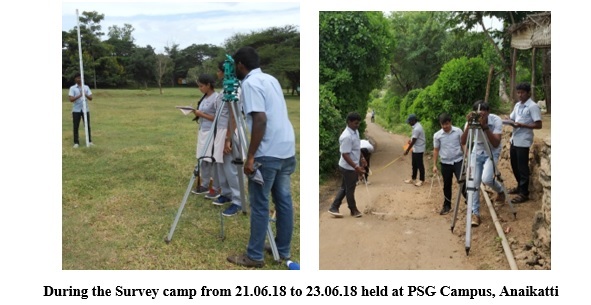 Er.G.T.Selvaraj , Survey consultant , SS Associates , Coimbatore, demonstrated the features of Total Station in the field for the Civil Engineering students of PSG iTech on 3rd April 2016 in the topic "Advanced Surveying using Total Station". 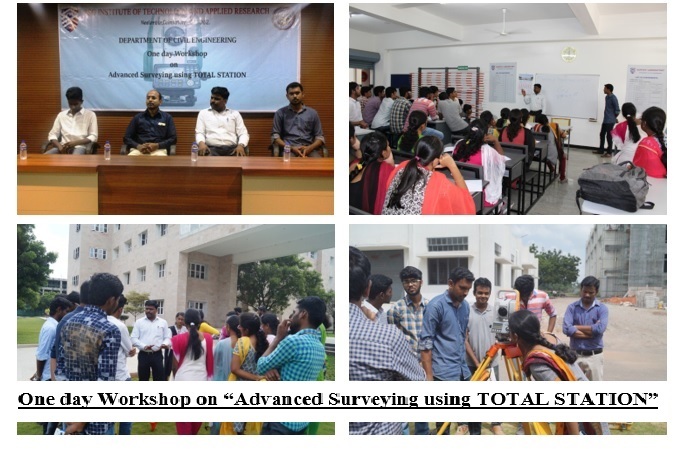 Totally 50 students have participated in the workshop.The morning session was started with the theory on advanced surveying and principles of advanced surveying took by Mr.P.Muruganandan, Assistant Professor (Sr.grade). 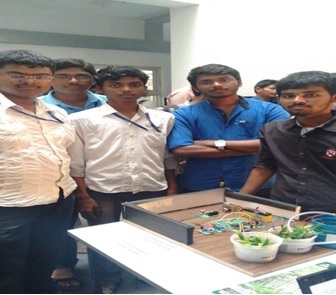 The Civil Engineering Department organized a National Conference on "Innovative Practices, Recyclable Materials and Energy Efficient Methods in Civil Engineering" during 23rd & 24th March 2018 at PSG iTech in association with ISTE. 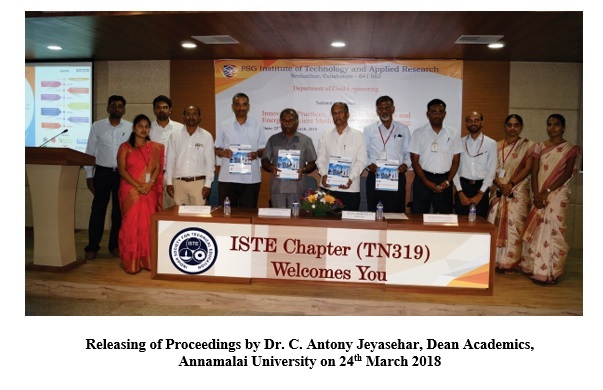 The conference was inaugurated by Dr. C. Antony Jeyasehar, Dean Academics, Annamalai University and released the proceedings which was received by Dr. P.V.Mohanram, Principal, PSG Institute of Technology and Applied Research. Delegates from various institutions all over India, presented 102 research papers which were well observed and commented by the Chair and Co-Chair persons. 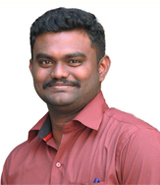 Industrial visit to Cochin and Allepey for two days on 30.08.15 and 31.08.15. 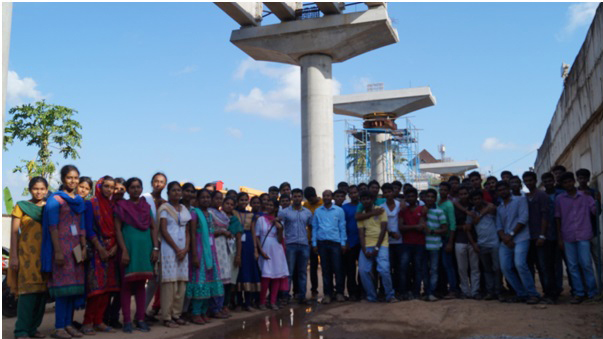 The Second year students of Civil Engineering Department were taken Industrial visit to Cochin and Allepey for two days on 30.08.15 and 31.08.15. Industrial visit to Siruvani dam. 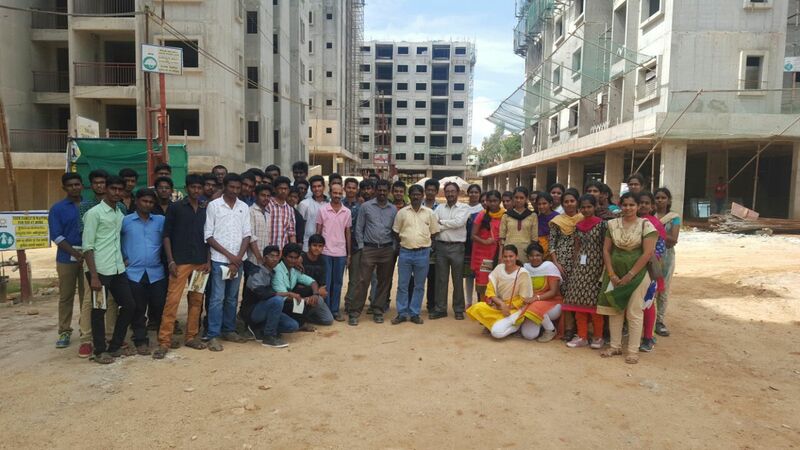 Civil Engineering students went industrial visit at 18th April 2015.